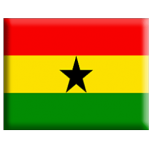 In 2001, the Crowley Program traveled to Ghana to study women’s property rights under customary law and the enforcement of the 1985 Intestate Succession Law. The Crowley Program worked closely with Women in Law and Development in Africa and the International Federation of Women Lawyers. Judge Deborah Batts, a United States District Judge, and Eric Okyere-Darko, a Ghanaian lawyer who received his LL.M at Fordham Law School accompanied the Crowley faculty and Crowley Scholars on the mission. The Mission focused on the relationship between the legal status of women’s property rights and Ghana’s international human rights commitments including the Convention on the Elimination of all forms of Discrimination Against Women and the African Charter on Human and Peoples’ Rights. The delegation was able to conduct wide-ranging interviews, including one with the President of Ghana, John Kufour. A camera crew from the Teaching Learning Network, an affiliate of PBS Programming, accompanied the Crowley Program to Ghana and filmed a thirty minute documentary about the Crowley Program and the Ghana Mission as part of its Voices of Vision series. The Crowley Program’s Ghana report, “Promise Unfulfilled: Law, Culture, and Women’s Inheritance Rights in Ghana” (PDF), was published in 25 Fordham Int’l L.J. 259 (2001). The Crowley Fellow in International Human Rights for the Ghana Mission, Jeanmarie Fenrich, now directs Specials Projects- Africa at the Leitner Center for International Law and Justice.